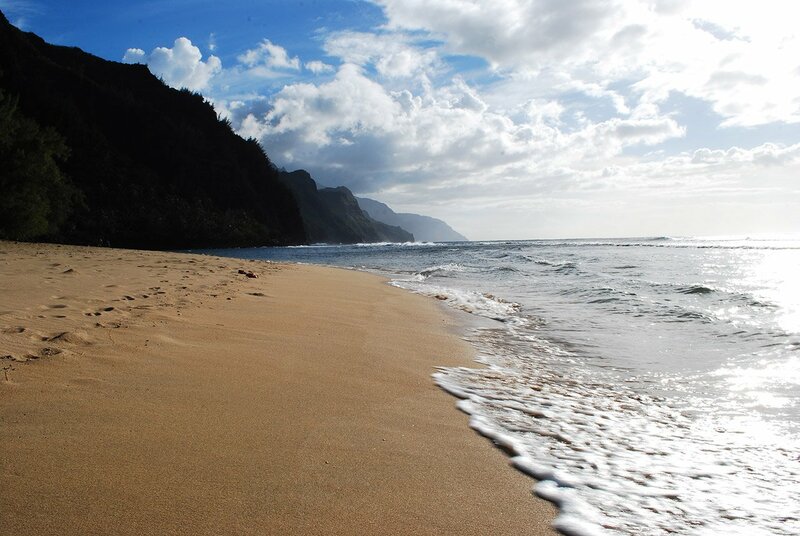 Beyond the age of information, there is the age of choices. 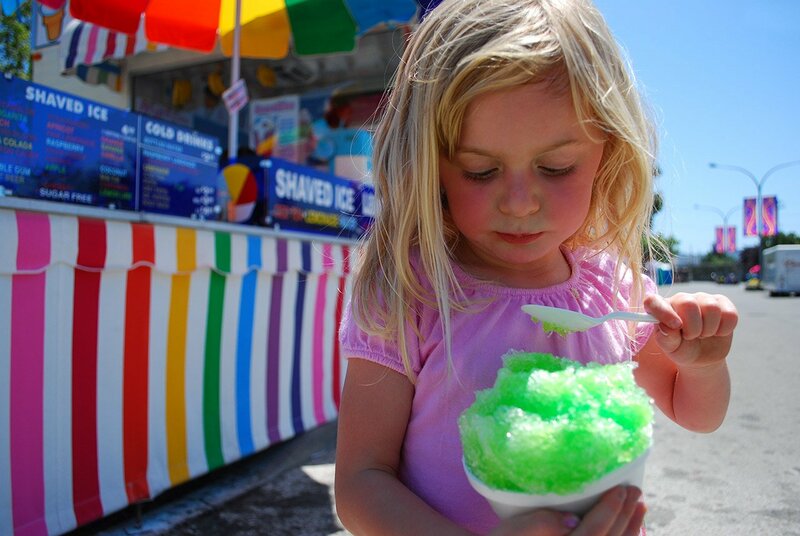 How can I help shape those choices for you? In this position, I am the primary point of contact for the Allroads Digital Marketing Division. Since I began working for Allroads they have doubled their monthly revenue and number of clients. My numerous responsibilities include web design, graphic design, WordPress implementation, proposal authoring, Google Analytics reporting, and SEO implementation. I have also helped to brand new businesses, provided photography services, and implemented Google AdWords campaigns. All site designs involve Photoshop content creation, HTML/CSS authoring, SEO, and responsive designs. 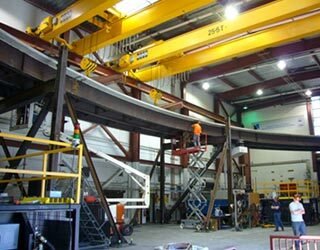 As an onsite contractor for Franklin Templeton I worked in the Collaborative Applications Group on various reporting, collaboration, communication, and gateway projects. All projects were running Microsoft SharePoint services and implementations ranged from completely custom to leveraging as much out-of-the-box functionality as possible. All of the design concepts were done with responsive HTML/CSS and often implemented with jQuery interactions. In this position, I directed the online design and user interface team for PCWorld, Macworld and TechHive. 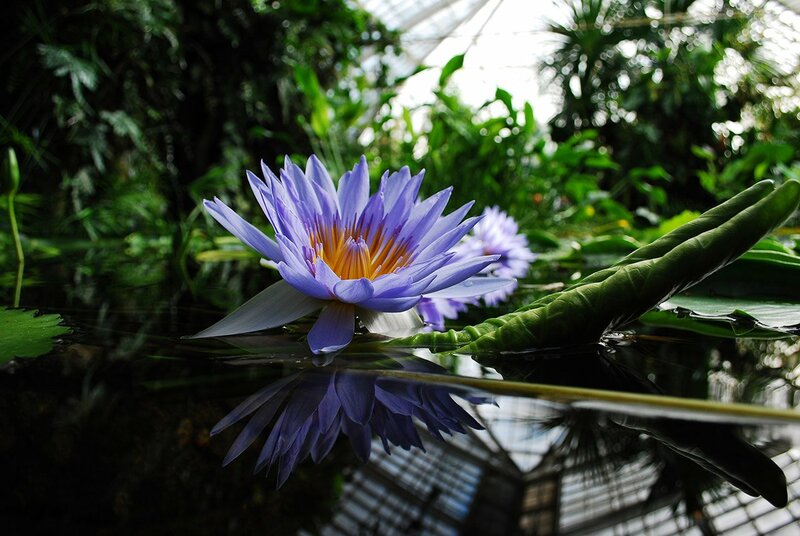 The web sites served an audience of nearly 24 million unique visitors per month and 81 million page views per month. 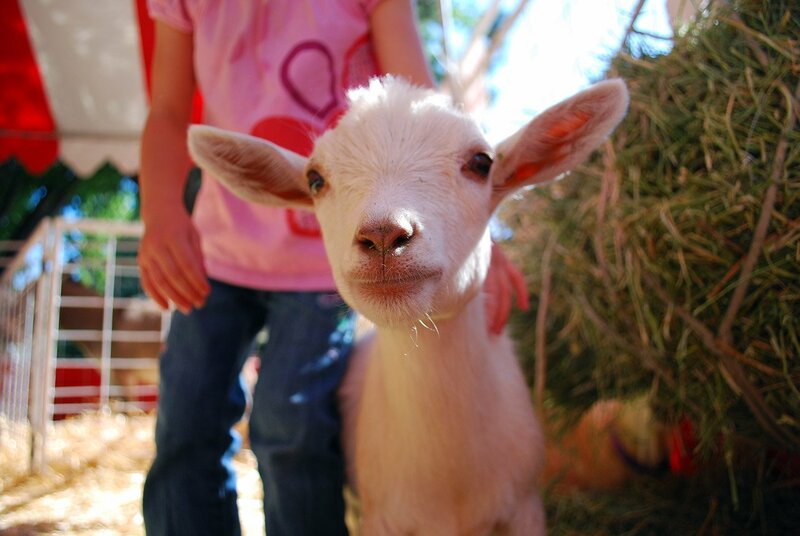 During my tenure, we tripled our social networking followers and our mobile traffic. Under my leadership, web designers, user interface developers, and web producers designed web sites, built iOS apps, developed brands, designed a custom content management system, and created advertising media for leading technology brands. Working with Mule Design Studio, we totally redesigned all of our web properties. The new web sites are fully responsive HTML5, and put a premium on the editorial content while affirming the brand voice. 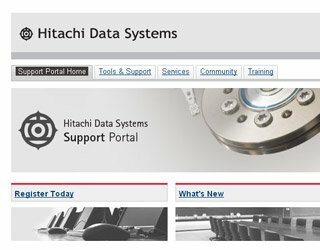 As an on-site contractor in web design and development for Hitachi Data Systems, my primary responsibility involved the migration of the support portal to a Joomla-based framework. Following the business requirements document and the Hitachi Global Web Site Design guidelines, I developed a static HTML mock-up of the new portal. Collaborating with the in-house development team, I helped create custom Joomla templates, modules and components to integrate the requirements with the design mock-up. 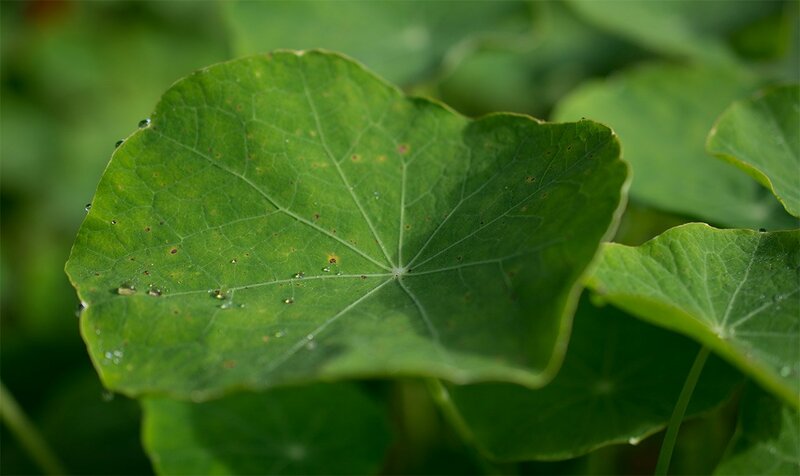 CRC Health Group is the largest provider of specialized behavioral health care services in the U.S. CRC Health Group treats more than 30,000 people with drug and alcohol addiction, learning differences, weight management issues, eating disorders, and other behavioral issues each day. 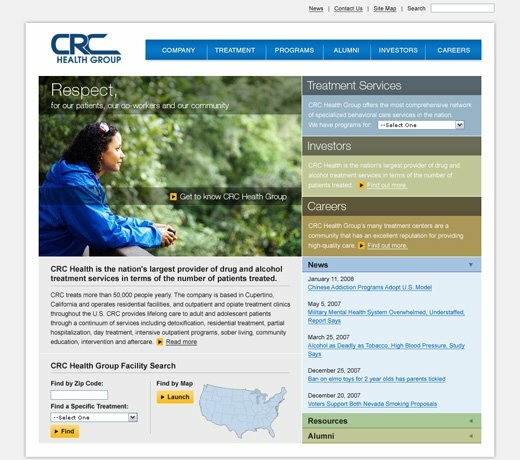 CRC Health Group has an extensive network of web sites for informational and marketing purposes with more than 200 unique domains. These sites range from pay-per-click micro sites to content-heavy resource sites that contain more than 8,000 pages. My job as Web Designer and Developer was to design, code interfaces, and migrate/populate the web sites with content. All development was done using tableless layouts and open source LAMP technologies. SEO optimization was a key factor in every web site. CRC Health group maintains hundreds of top 10 organic search term placements on search engines such as Google, Yahoo and MSN. 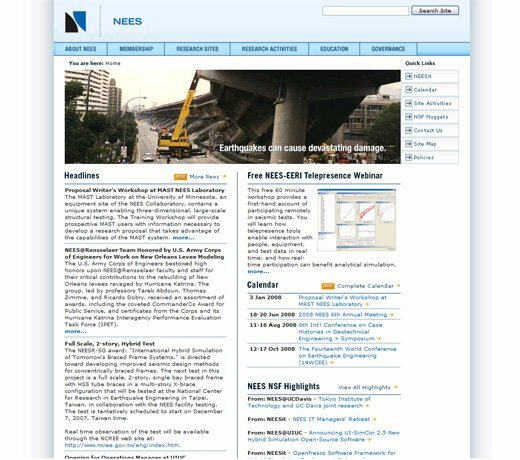 The National Science Foundation created the George E. Brown, Jr. Network for Earthquake Engineering Simulation (NEES) to improve our understanding of earthquakes and their effects. My primary role as Web Designer and Developer was to create a more dynamic and professional-looking web site. This was accomplished by updating the overall design, developing database-driven content and calendars, adding RSS feeds for syndication, and creating engaging flash animations and improved navigational structure. Responsibilities included web site design, dynamic and static programming of the web site, corporate branding including collateral, database administration, desktop support, network administration, and VOIP system support. 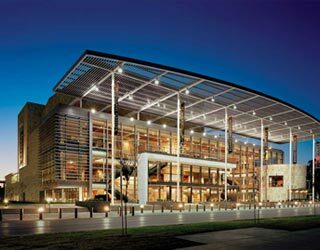 One of the largest performing arts presenting programs on the west coast, UC Davis's Mondavi Center for the Performing Arts hosts more than 70 performances each year and has an annual budget of more than 3 million dollars. 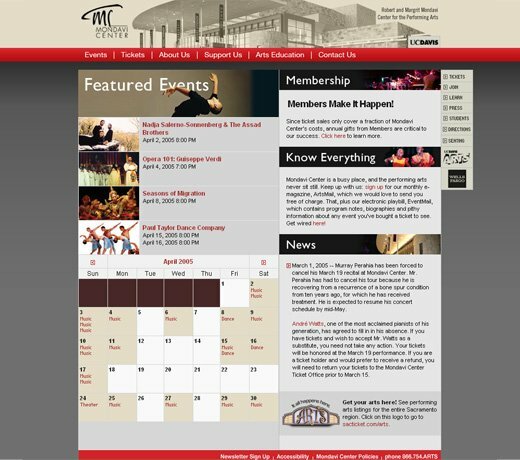 As Web Designer and Developer for Mondavi Center, my responsibilities included web site design for the series, dynamic and static programming of the web site, e-mail marketing, database administration, photography, multimedia creation, and video editing. EMF Broadcasting owns the 5th and 30th most listened to internet music streams in the world. 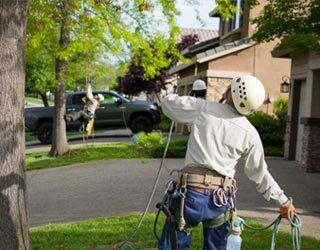 As Web Designer for all EMF Broadcasting web properties, my responsibilities included web site redesigns, site maintenance, feature enhancements, information architecture and front-end web programming. 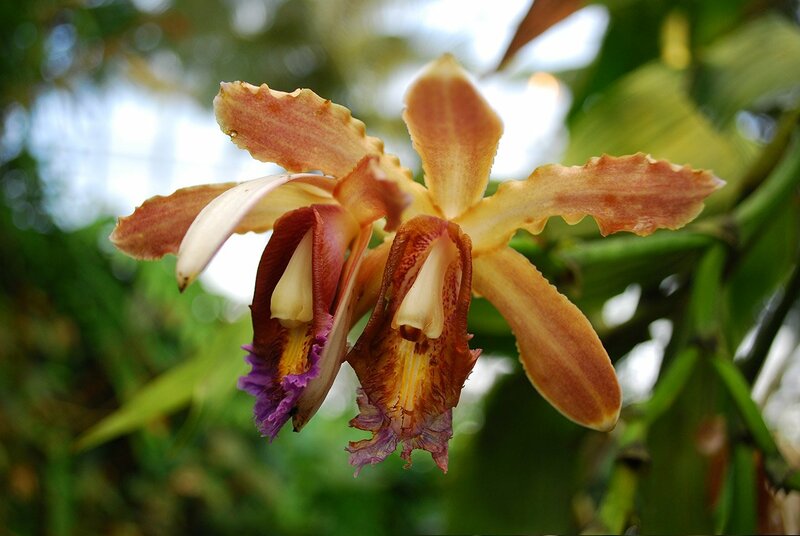 Additional responsibilities included photography, magazine ad design, and intranet content updates. 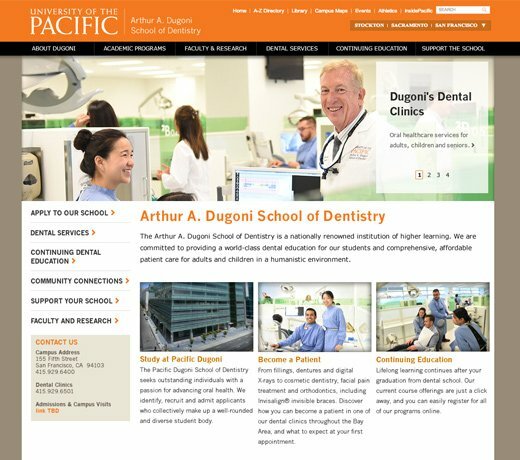 The Arthur A. Dugoni School of Dentistry is a school within the University of the Pacific. They needed to transform their current site to work within the framework of the greater University of the Pacific web site. I was contracted to come up with a design and grid system that would serve both the schools needs and the universities needs. I began with making a wireframe mockup of how the responsive grid system would work. When that was completed I designed the school landing page and several other pages to illustrate how the grid system could be implemented. Currently this project is still in development. InfoWorld has a long and colorful history as a computing publication aimed at technology practioners. 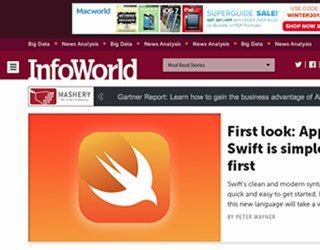 As the visual lead in the InfoWorld redesign I helped take the brand in a new direction by changing the color pallate and typography. 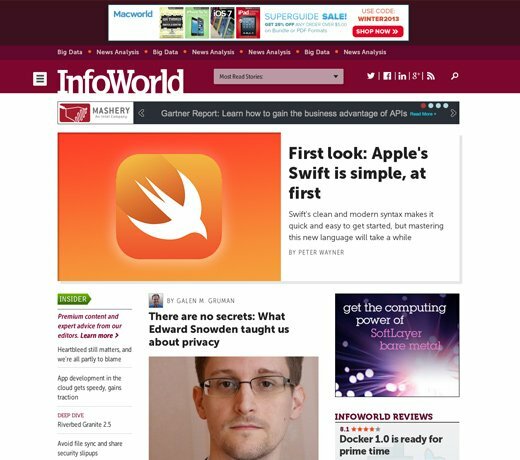 This change was made to set InfoWorld apart from the other technology publications and highlight its unique voices. 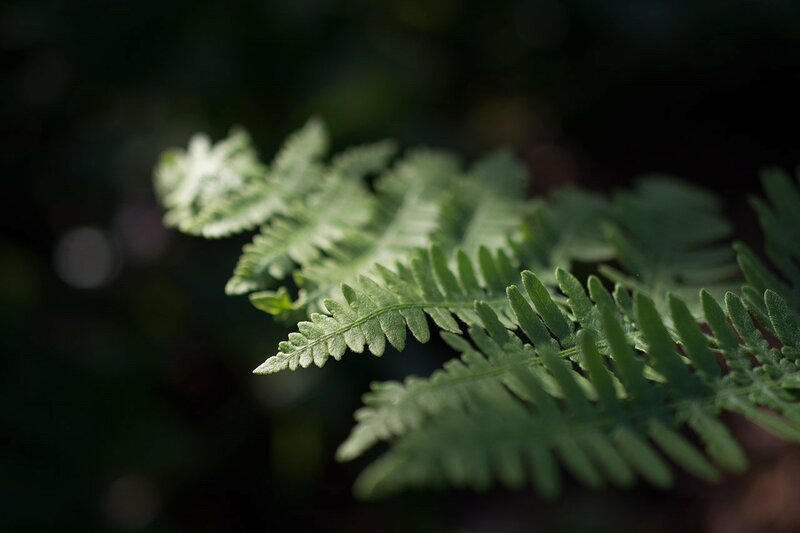 The new site is responsive and spotlights important content in ways the old site never could. After deployment of the redesigned site, traffic increased 19% from the previous months. 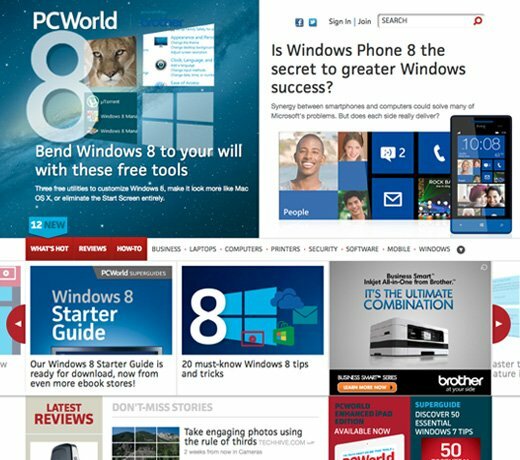 PCWorld is a global leader in reviews and news on tech products, software and downloads. The web site has received over 50 million hits in a single month and now generates more revenue than the print magazine. As Director of Online Design, I work collaboratively with all stakeholders on projects such as homepage and mobile site redesigns. Our goals have been to increase time spent per visit, grow social networking subscriptions, maintain our high organic search ranking, and increase viewer loyalty. 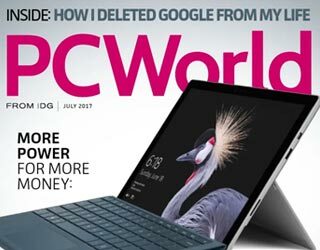 A complete PCWorld redesign was launched in October of 2012. Technologies used on the site include HTML5, CSS3, jQuery and Java. 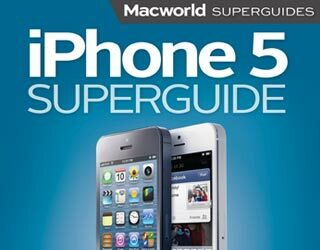 Macworld is the premier source for news, reviews, help and how-to, videos, and podcasts for the Apple market. 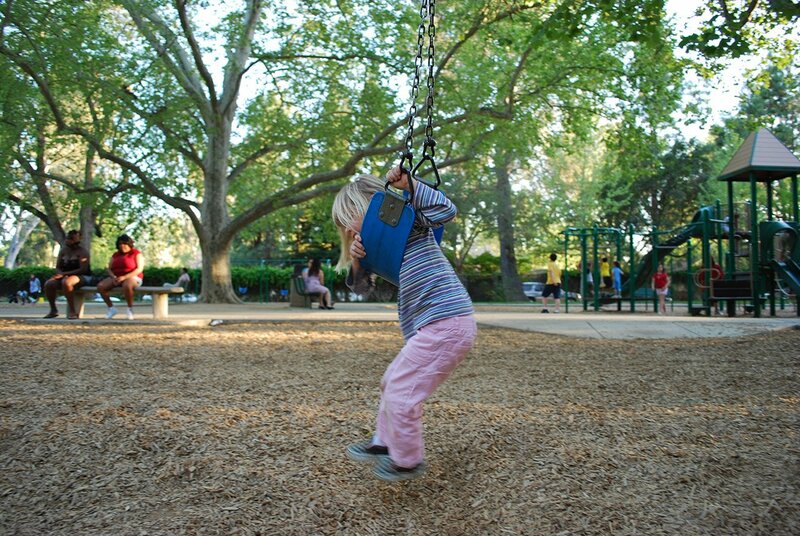 The coverage includes product reviews for Apple hardware, Macintosh software, apps, iPods, iPads, and iPhones. As Director of Online Design, I lead a small design team in improving, maintaining, and redesigning the web site. Our goals are to grow an extremely loyal audience, increase social networking connections, promote our paid products, produce custom content, and increase our organic search result rankings. 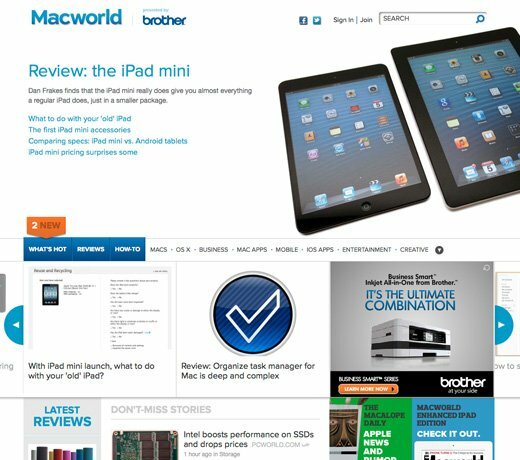 A complete Macworld redesign was launched in October of 2012. Technologies used on the site include HTML5, CSS3, jQuery and Java. 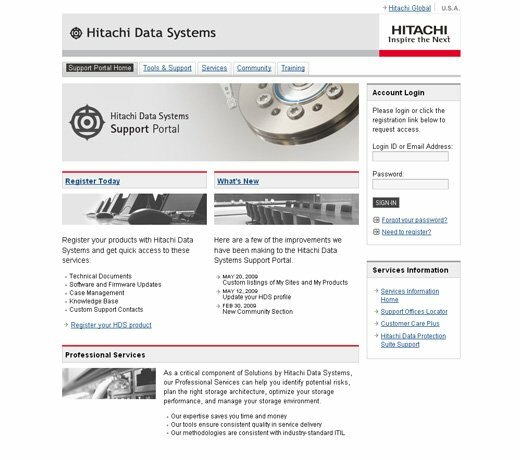 I worked as an on-site contractor doing web design and development for Hitachi Data Systems. My primary responsibility involved the migration of the support portal to a Joomla-based framework. Following the business requirements document and the Hitachi Global Web Site Design guidelines, I developed a static HTML mock-up of the new portal. Collaborating with the in-house development team, I helped integrate the design mock-up into the new support portal with custom Joomla templates, modules and components. 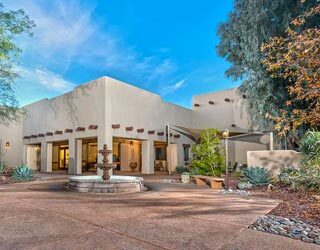 Sierra Tucson is the largest and one of the most exclusive facilities in the CRC Health Group network. 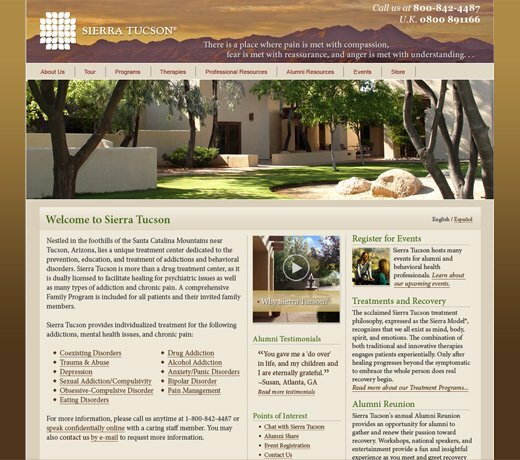 Often costing over $30,000 per patient visit, the Sierra Tucson web site needed to better represent the exclusive services it offers, as well as its reputation for clinical expertise. As Web Designer and Developer, I created a creative brief, a site map, design prototypes, coded the interface and migrated the existing web site content. 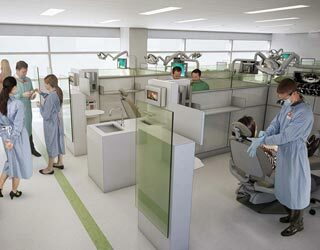 The key design objective was to instill trust in the program, facility and web site content. 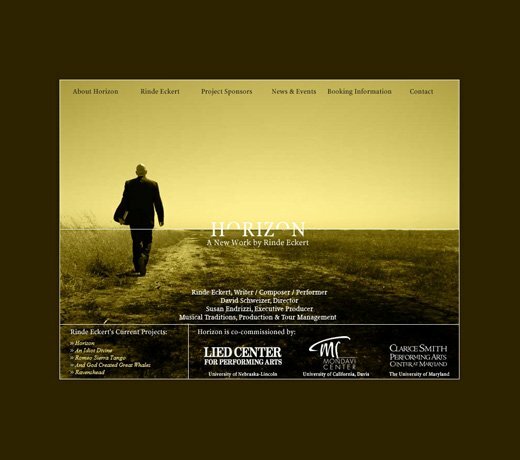 An example of instilling this trust was to design a very clear navigation system and pair it with a color scheme that highlighted the inviting desert landscape surrounding the facility. Potential clients get a feel for the ethos of the facility and are quickly be able to find information on subjects that may serve their needs. 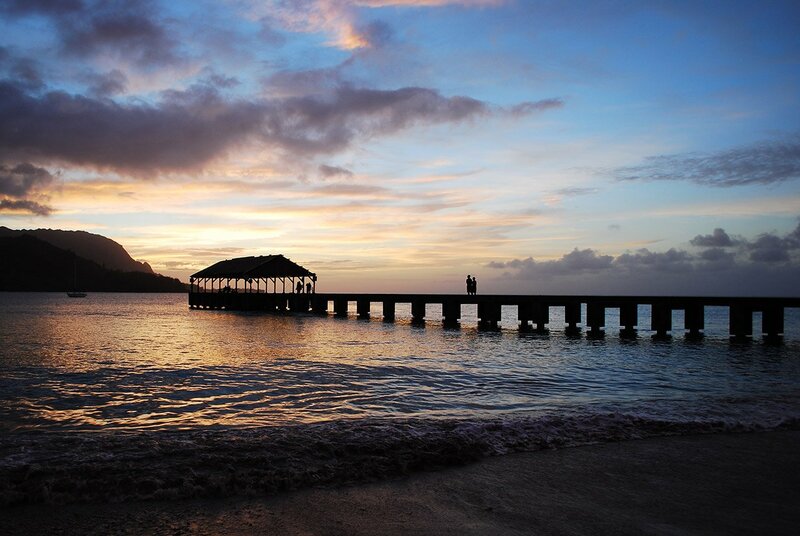 CRC Health Group is largest provider of specialized behavioral health care services in the United States. 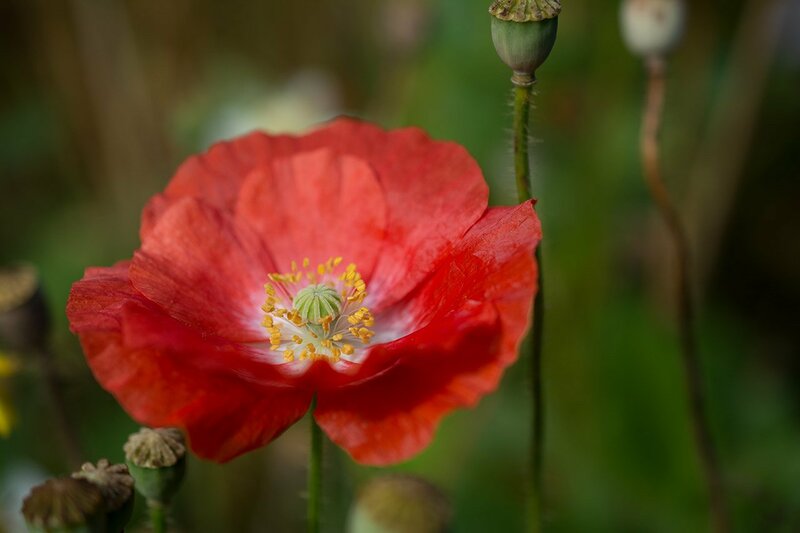 They treat more than 30,000 people with drug and alcohol addiction, learning differences, weight management issues, eating disorders, and other behavioral issues each day. 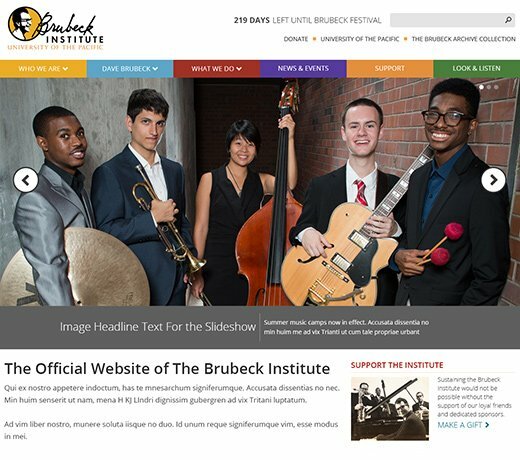 As a member of the design team, I created this web site design to help transform an informational web site into a portal for potential clients. This was done with a trustworthy and clean design that was intended to guide visitors to facility web sites or initiate a phone call. 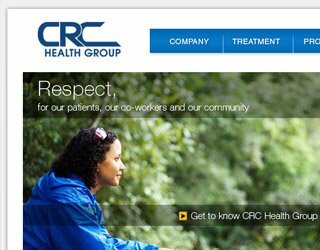 Another goal was to enforce the CRC Health Group brand through use of color, typography, easy-to-use interface and representative imagery. 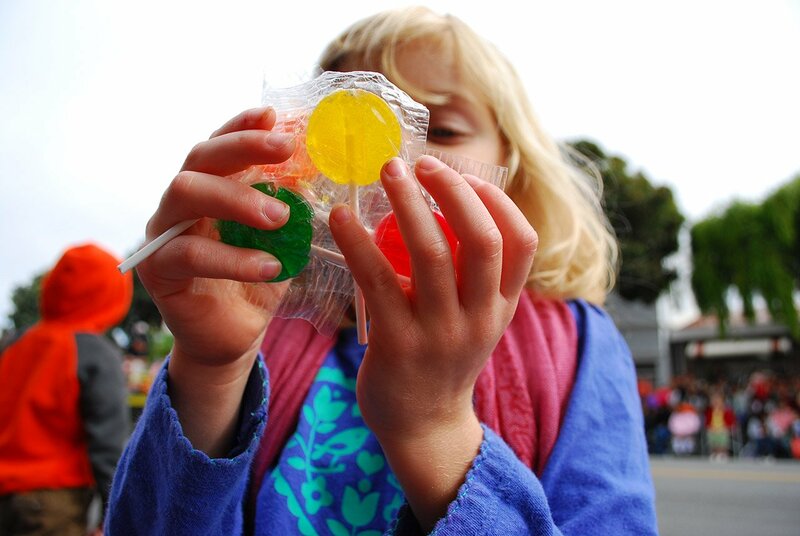 Rinde Eckert is one of the rising stars amongst performance artists. 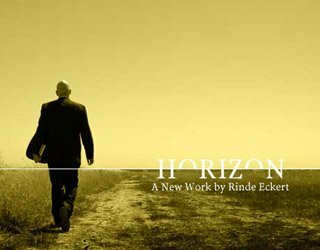 Mr. Eckert was co-commissioned by the Mondavi Center and other performing arts presenters to do a new work titled Horizon. 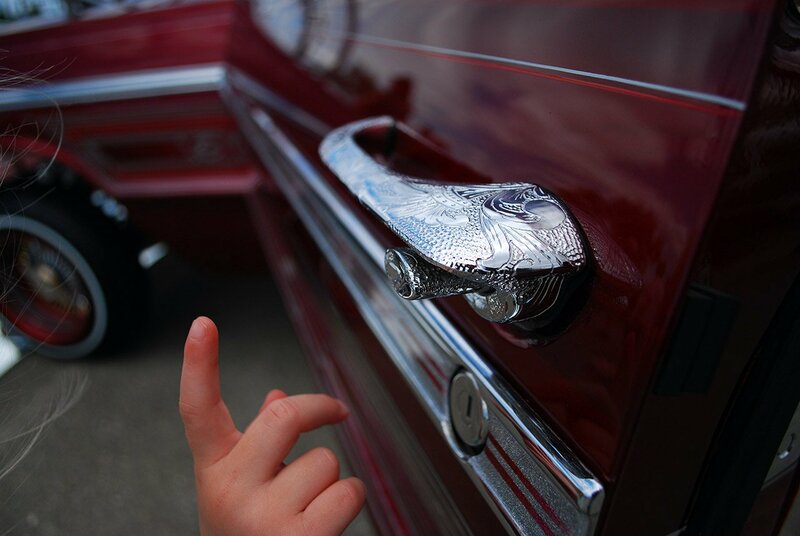 As part of the commissioning, I created a web site for the artist and this project. I developed a logo for the project that reflects its interest in the spiritual and secular worlds. 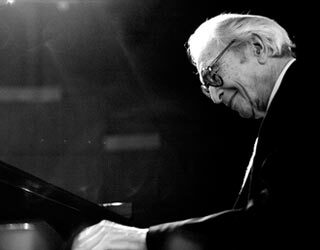 The web site was created to showcase this new work and an online documentary on its development. In addition, it was also an informational resource about the artist. 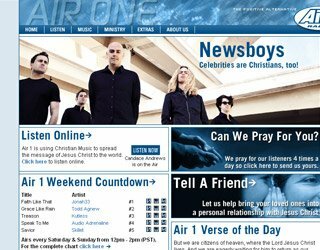 Air1.com was a major interface and aesthetic overhaul from the prior web site. As the Web Designer for Air1, I started the project with a survey of the station's target audience. From this survey I determined the look and feel direction and obtained technical parameters such as screen resolution and Flash compatibility. 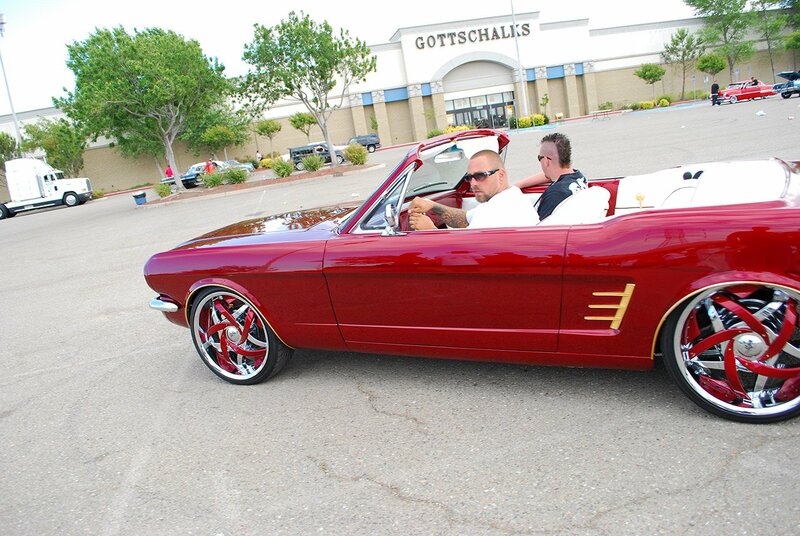 After the web site was redesigned it received a dramatic 30% increase in site traffic. 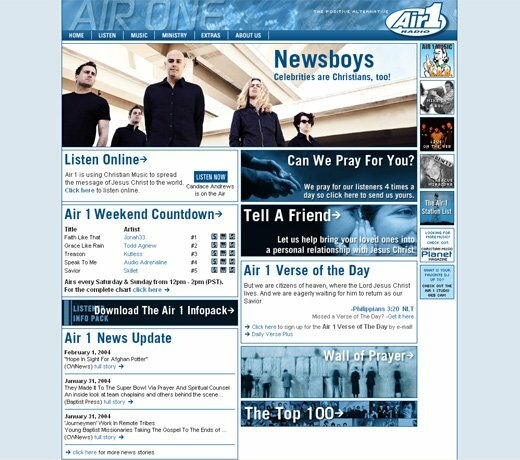 Air1.com was voted by the members of the National Religious Broadcasters Association as the most innovative web site for 2003 following the redesign. 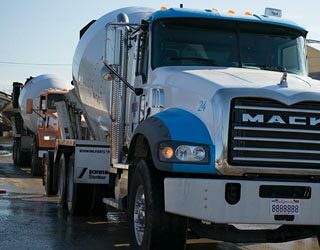 Ready Mix Drivers Association was created to help with the recruitment of qualified concrete truck drivers in a high demand job market. 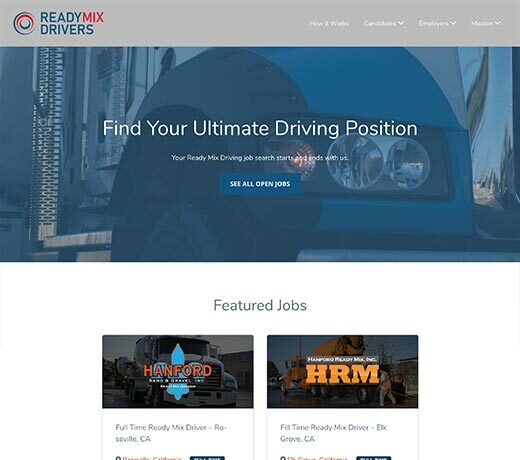 I began the development process by first creating a visual identity for the Ready Mix Drivers Association that drew inspiration from our national infrastructure. I subsequently did a custom photoshoot so the images would reflect the authenticity of the groups mission. I then proceeded to create a dynamically driven web site using WordPress that allowed drivers to post their resumes and employers to view potential applicants. Using HTML, CSS, WordPress, Illustrator, and Photoshop I was able to deliver this project in a less than a month. 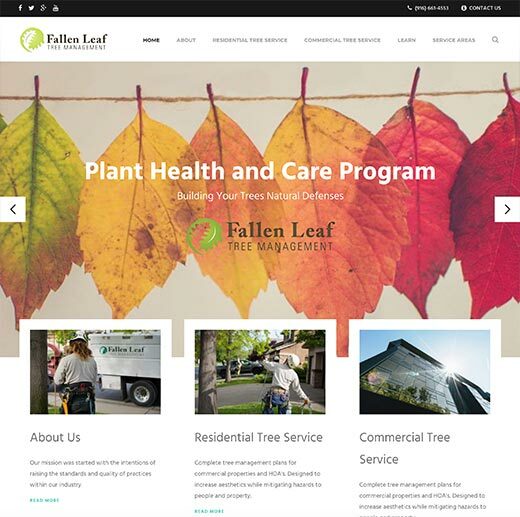 Fallen Leaf Tree Management came to Allroads Digital with a web site that needed to be modernized badly and a desire to also make the site informative. They also wanted to improve their organic search positions for their services in the local communities. I started the transformation process by creating a dynamic and responsive web site design that looks great on every size device. Then I created a SEO content strategy designed to improve their rankings in their core service areas. I also took control on an unattended AdWords campaign that had wasted 36k on unqualified traffic before Allroads got involved. Finally, I implemented full conversion tracking so every form submission or phone call generated from our work was accounted for. 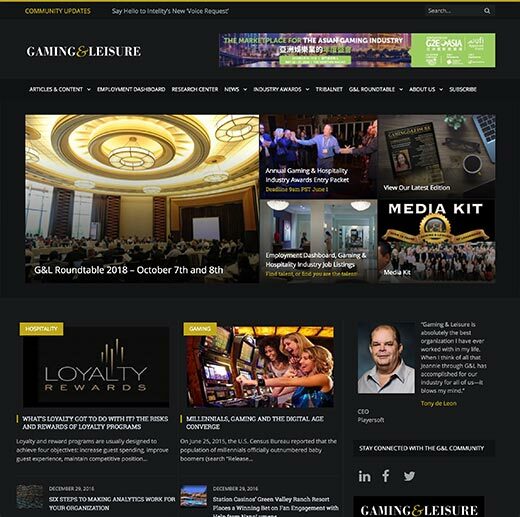 Gaming & Leisure needed assistance with their web site after it had fallen into disrepair and even been the target of hacking. After securing the web site I helped Gaming & Leisure chart a course to modernize their web site. 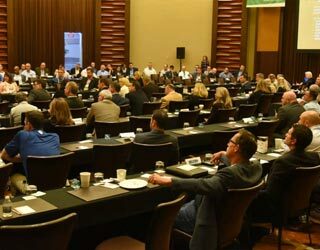 Our stated goal was to create a more immersive design and robust platform for Gaming & Leisure's influential role in the Gaming & Hospitality industry. We not only delivered a sophisticated design, we also delivered detailed video tutorials on how to manage the new web site. A key request from Gaming & Leisure was detailed reporting on web site activities. Using Google Analytics as a basis for data I developed a list of key performance indicators and I tracked that performance over time. 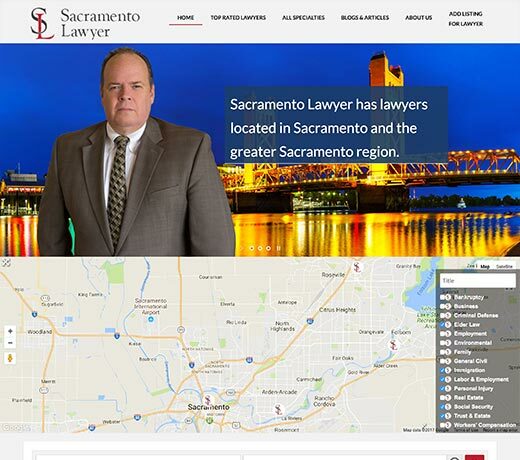 Sacramento Lawyer was a domain one of our legal clients has acquired but never fully leveraged. I created the site to serve two main objectives; to bring in potential new clients, and create a revenue business model around listing placements. Clients can browse listing in various legal practice areas and leave reviews for their attorney. I also implemented custom Google maps feature that allows clients to select an attorney in their desired neighborhood. 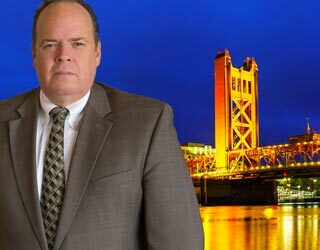 As Sacramento Lawyer evolves, it looks to become a central resource for finding legal representation in the Sacramento region.